Spinal Stenosis is a common disease of the spine, and often results in back pain among those who suffer from the disease. 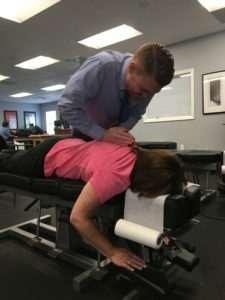 At Monmouth Pain and Rehabilitation in Shrewsbury, NJ our professionals expertly handle cases of Spinal Stenosis every day and provide real pain relief to the patients we serve, without prescribing medication! Our entire approach revolves around the idea of helping patients avoid unnecessary surgeries and medication, therefore reducing further damage and stress on the body. If you are looking for real relief from Spinal Stenosis and live near Shrewsbury NJ, contact Monmouth Pain and Rehabilitation to learn more about holistic pain management for your back pain. 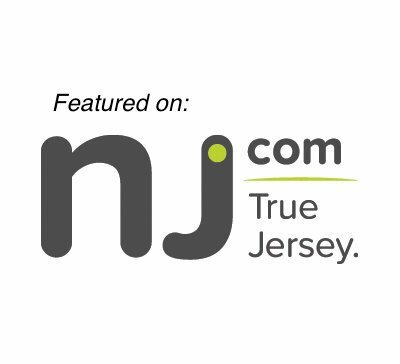 We have additional locations in Wall Township and Lacey, New Jersey. The majority of back pain is mechanical in nature, often associated with the term spondylosis. Spondylosis refers to general degeneration of the spine due to normal wear and tear that occurs in joints, discs and bones of the spine as people age. A common form of degeneration of the spine is Spinal Stenosis. Spinal Stenosis can be diagnosed through radiological procedures such as X-rays, Computerized Tomography (CT) scans, and Magnetic Resonance Imaging (MRI) scans. At Monmouth Pain and Rehabilitation, we perform X-Rays in the office and review prior diagnostic imaging studies with the patient before discussing their treatment options to provide some back pain relief. Spinal Stenosis refers to a narrowing of the spaces within your spine putting pressure on the nerves that travel in your spine. Most often, stenosis of the spine occurs in the Cervical (C-Spine) region, and the Lumbar (L-Spine) region of the spine. While some people with stenosis don’t experience pain, others experience pain, tingling, numbness, muscle weakness, and neuropathy that becomes progressively worse over time. If you are experiencing numbness, tingling, or weakness in your hands, arms, feet, legs, have difficulty with balance and walking, neck pain, bowel or bladder dysfunction, pain or cramping in one or both legs when standing or walking that eases when you bend forward or sit, you may be experiencing the symptoms of Spinal Stenosis. 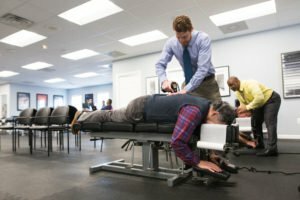 Spinal Stenosis Treatment in Shrewsbury, NJ – Get Back Pain Relief Now! At Monmouth Pain and Rehabilitation, we can provide relief from the symptoms of Spinal Stenosis. We combat pain at the source to provide consistent high-quality outcomes for the patients we treat. Our entire approach revolves around the idea of helping patients avoid unnecessary surgeries and medication, thereby reducing damage and stress on the body. Recurring back pain is your body telling you that there is something wrong, and it should not be ignored. The symptoms associated with Spinal Stenosis can be greatly improved without medication or surgery. Let Monmouth Pain and Rehabilitation be your one-stop-shop for combating your symptoms of back pain! We combat back pain at the source through a wide range of proven services including Physical Therapy, Chiropractic, Acupuncture, Cold Laser Therapy, and Power Plate Vibrational Therapy. Contact Monmouth Pain and Rehabilitation and schedule your free consultation at our Shrewsbury office and take a proactive approach to finding real long-term pain relief. We look forward to helping with all your rehabilitation, physical therapy, and chiropractic needs. Please feel free to contact us directly by calling 732-345-1377 or by emailing us using the Contact Form below. Please note that a referral is not necessary for your first visit. In addition, we work with most major insurances including Medicare.